Hi! 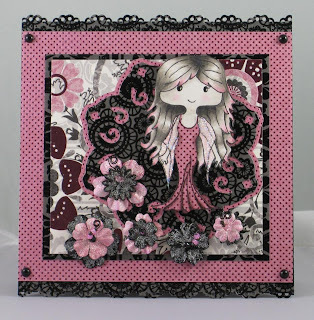 My card for this challenge features the very lovely Romantic Gilli stamp. 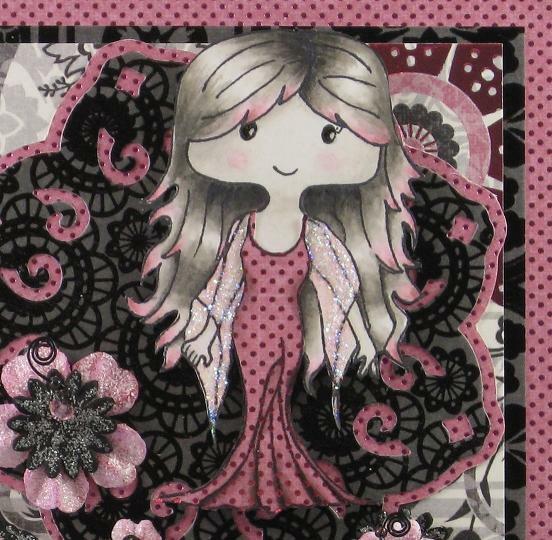 Gilli's dress was paper- pieced, her sleeves got a coating of Star Dust Stickles, and she was colored with Copic Markers on Cryogen White cardstock. 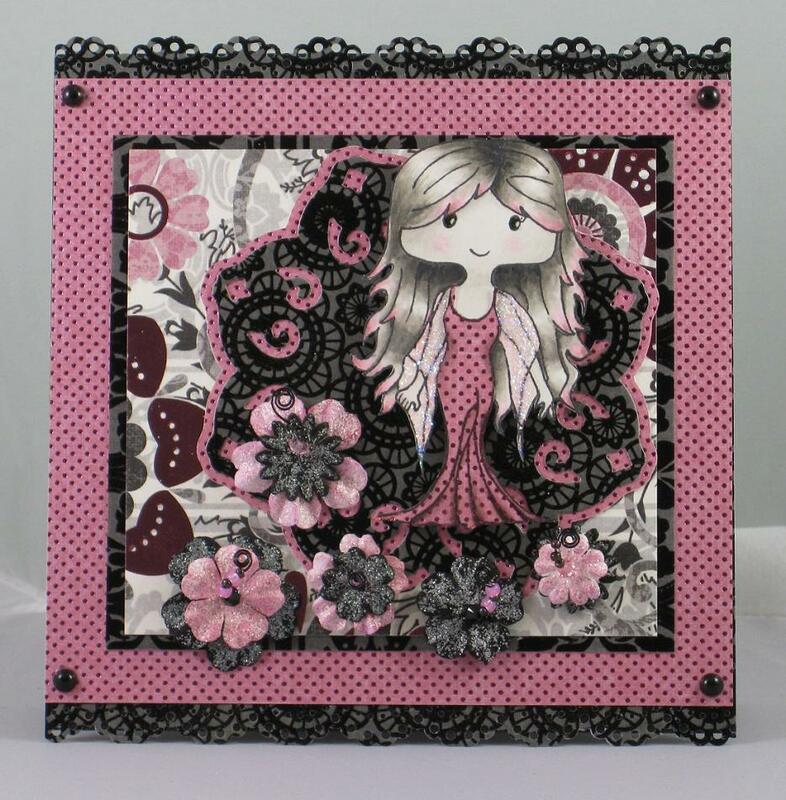 I used a MS border punch along the top and bottom edges of the card; added Frosted Lace Stickles to the flowers and thread beaded wire though them. The flowers didn't photograph too well since there's not enough contrast; in real life the beaded wire is more dimensional not flat against the card.